Kick drum mic with other optional uses. Hand-assembled and tested in the company facility in Connecticut, the M82 is a robust dynamic microphone that features a large 35mm diaphragm with superb low frequency capabilities. The M82 is an end-address microphone, meaning that the top portion of the headgrille is pointed at the sound source, and features two separate EQ switches: KICK EQ and HIGH BOOST. These two switches function independently of each other, providing four unique settings. The M82 makes it simple to tailor the microphone's response to the source. The M82's KICK EQ switch engages a passive filter that reduces some of the lower mid-range frequencies (centered around 350Hz) commonly cut when processing a kick drum. This helps to keep the kick drum from sounding "boxy" and allows the low end to remain strong. This particular setting is tailored specifically for kick drum use. The HIGH BOOST switch tilts the upper mid-range and high frequencies (starting around 2kHz with a 6dB boost by 10kHz). For kick drum use, this allows for more beater attack when placed inside a kick drum. This gives the option of either a vintage-style kick drum sound, or a more modern sound. For a source such as vocals or guitar amps, the high boost provides further articulation and airiness in the upper register. Construction-wise, the M82 borrows heavily from the U47 body style by employing a headgrille of similar architecture. 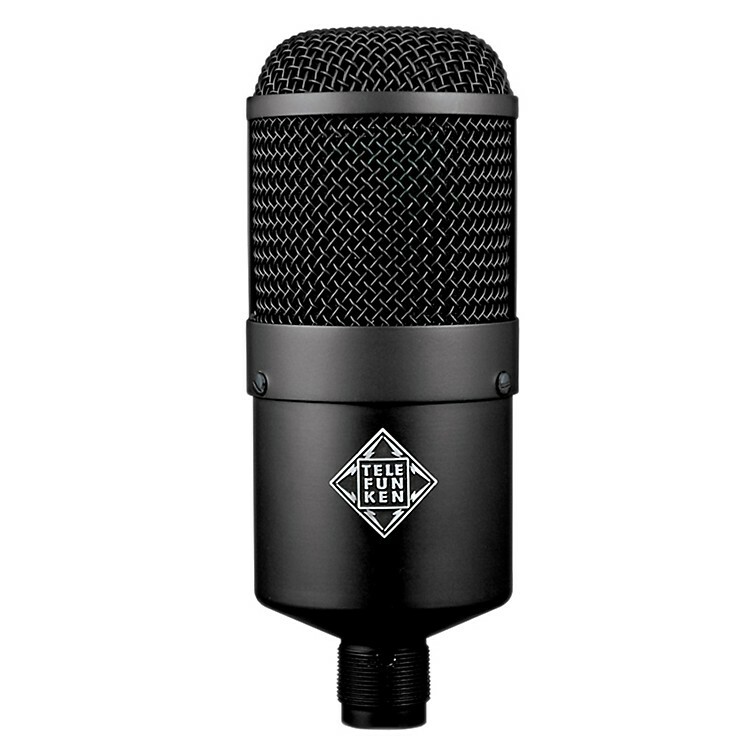 Finished in a durable smooth black finish on the headgrille and body, the M82 was rigorously tested to ensure it could handle the rugged role of a kick drum microphone for both studio and live environments. The TELEFUNKEN Elektroakustik M82 is delivered with a stand mount adapter and protective zipper case. An optional elastic suspension mount is available. Order today for a kick drum mic that does more than just kick. Specifications unavailable at the time of posting.